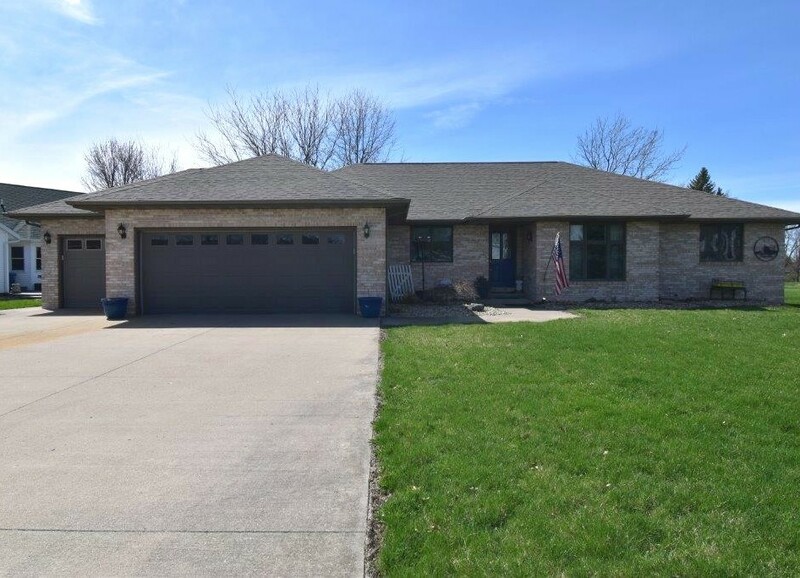 Lovely Ranch Home in Turtle Creek Sub. 3 Bedrooms, 2 full baths, Kitchen/Dining Area, Great Room w/ wood burning fireplace and wonderful windows to enjoy the view. Custom blinds in LR and Dining area. Office. Laundry Room. 3 car garage. Sit outside in the 11×22 concrete covered patio. New roof 2018, New walk in gar. door 2017, New Furnace & AC 2015, New Garb. Disposal 2014, New Gar. Door & Opener 2010. Range, Refrigerator, and Dishwasher Stay! 1387 Turtle Dr., Pontiac, IL. We sell all over Central Illinois and beyond! We have seven experienced Brokers with us: Roger Sutter has been with us since 2004, Jon Deal since 2014, Kasey Strachan since 2015, Suzy Rutledge since 2016, John Walters since 2017, and Kelly Harris since 2017. We are a busy, aggressive office and average over 50 listings at any given time and have averaged 75 homes sold a year in the last 10 years. We sell 92% of our listings. We have a beautiful web site and we receive many hits. We answer emails within 24 hours and our phone is transferred each day to a Broker in the office for our clients’ convenience. We do an up-to date market analysis of your property before we list it. The company is very active in the local community including: charity golf tournaments, Girls and Boys Club, donations to local food pantries, sports and activities in most of the local schools, and St. Jude and St. Paul golf outings. Joan Bullard Realty, Inc., is a member and proud supporter of the Kankakee-Iroquois-Ford Association of Realtors and MRED Multiple Listing Service. This means we have access to every property listed in those areas. That’s a huge advantage for you, the buyer or seller. That means you can deal with one Realtor that can find the right home for you at the right price or sell your house or property for top dollar. It also means that you have the widest choice of location in Illinois.